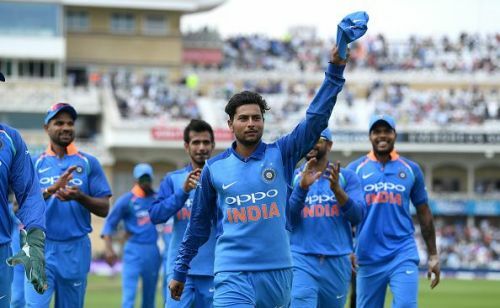 In an exclusive chat on Sportskeeda's #MindVoice, India's bowling star Kuldeep Yadav opened up on a variety of subjects. Here's Part-1 of the interaction. Part-2 and Part-3 to follow. You were a pacer initially, and your coach advised you to become a chinaman bowler. What if you hadn't listened to him? I would have been doing something else. When I switched to spin, I literally cried for three days. I didn't go to the nets for 5-6 days. My coach then called my father and told him 'I want this kid to be at that ground to try something else'. He wanted to try something different because chinaman was new for everyone. It is important for any spinner, any bowler for that matter, (to listen to Dhoni) when you have got the best wicketkeeper in the world. He carries a lot of experience, he shares things that are really important for youngsters, for me and Chahal, or for that matter, any fast bowler or spinner. He just gives inputs, small tips, which really help us during games. It’s a lot of fun playing with him and I feel very lucky because I never thought there would come a time when I would be playing alongside Mahi bhai. He has played such high levels of cricket, and done so much for India. It’s always been a great feeling, I enjoy it. He’s very supportive and there’s fun and jokes too. (The tips) Sometimes work, sometimes don't, but the loyalty remains. He knows everything. Sometimes, you might not know small things about the batsmen, but he does. In an interview, you had once said that as a young boy, you had negative thoughts when you were not picked. How do you overcome such situations? When I was young and went for one of the trials, I progressed to the final round but did not get picked in the camp. I went into another mental zone. I spoke to my coach at that time and I asked him what went wrong for me, because I was bowling really well. Then, something happened, and I realised I needed to focus more on my bowling and keep working hard. After that, I really worked hard, probably bowling 3-5 hours a day. Everything changed from there. Under Bharath Arun, your career took off at the U-19 level, and now he is in the Indian side as a bowling coach. How do you describe the journey with him? First time I met Arun sir was at the National Cricket Academy (NCA) in 2007. It has been 12 years now and we know each other very well. There is great understanding; he knows what's my strength, and what areas I need to work on. It's good to have him in the Indian team as a bowling coach. He's always backed me. When I played the Sydney Test, he was the one who backed me. I'm really happy I am in good hands in the Indian cricket team. What do you think about Yuzvendra Chahal, the Kul-Cha combo? It's perfect bonding, he is the one. He is very funny and it's good to have him in the side. He treats me like a younger brother. 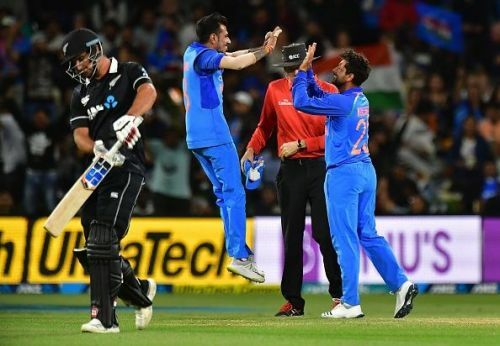 (Against New Zealand, when he batted alongside Chahal for the last wicket) he kept saying that we have plenty of overs to go, let's bat through the innings and see how much we achieve. Let's take it over by over, ball by ball. We didn't do a great job, but we did save the team from getting dismissed for their lowest ever total. It becomes difficult when Chahal is not playing. For any bowler, the other end is very important. If the pressure is there, either you will get the wicket or he will. When Chahal plays, there is pressure from both ends and we end up getting wickets in the middle overs. What has the influence of Ravi Shastri as head coach been? He's a very good coach. He backs youngsters and boosts their confidence. He believes that every player has a special talent. So, he speaks to the players and tells them things like, "you're special," and "I want you to perform like this". It feels very nice - the atmosphere of the team remains positive and his style of speaking is unmatched. He keeps telling youngsters what the team needs from them. You replaced the likes of Ravichandran Ashwin and Ravindra Jadeja in the team. How much pressure were you under then? I don't think I ever replaced them. It was just when I got the opportunity, I concentrated on my performance. They have been doing well for a long time for the country, and they continue to do so in Tests. They were the ones who backed me when I entered the team. They keep telling me things like, "You should do this now", "the batsman will play like this now". We chat a lot in the nets and it's nice to play with them. What technical adjustments did you have to make from ODIs and T20Is to Test cricket? Red ball cricket is completely different from white ball cricket. I need around 10 days to go back to basics after playing white ball cricket. It is very difficult. Earlier, when I was not playing with the white ball, I used to follow the drills - keep bowling with a single wicket and give more flight to deceive the batsman. When I got a chance to play for India with the red ball in the Lord's Test, I wasn't prepared enough. After that, I went back home, I came to the NCA and worked with my coach for 7 days. I then played against Australia A in the first game at Bangalore. I wasn't bowling too well as I kept pitching it up to the batsman, but I realised at that time that I was working really hard. In the next match, I got five wickets. That got me really hooked on red-ball cricket. Then the West Indies came, and I played Tests against them. I bowled well and understood that I needed to focus on my variations, my accuracy and where to bowl. I did the same at Sydney - I stuck to the basics and bowled according to the wickets. It really helped me. What are your views on Virat Kohli and Rohit Sharma as captains? They are phenomenal in person, and as captains. They are very supportive. Thoughts on the 2019 World Cup in England? There are still 3-4 months to go for the World Cup, but everyone dreams of winning the Cup, and the dream is the same for me too.